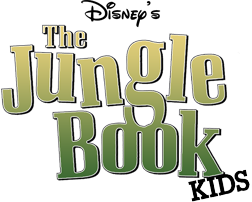 to make the 2015 production of The Jungle Book possible. Set Build & Strike: Anthony Bohnert, Asa Douglass, Carrie Edwards*,Diane Gillis, Donald Gillies*, Elizabeth Goodsell, Thomas Grandon, Peter Hedlund*, Todd Hutchinson, Amy Keating, Tom Keating, Joe Kelly, Katie Lukowicz-Simon, Sarah Lynch*, Amy Moyer, Lesley Scott-Morton, Meghan Shadrick, Jeff Siegel, & Wei Wang. With so so many volunteers, we are afraid we may have missed some! If so, please let us know - THANKS! We send a very special thanks to the Bishop PTO and, in particular, Rosemary Foster, PTO co-president, for getting the play “off the ground” this year!